This is the my last shoot for W/T, shot at Cable Bay Nelson NZ, the plan is to move on to more creative ideas still surrounding fashion but with more of an artistic input...cant wait. The Economy of Prestige: Prizes, Awards, and the Circulation of Cultural Value James F English. Looking at The Field of Cultural Production Pierre Bourdieu. The Hollywood Highbrow: From Entertainment to Art . Revenge Of The Crystal selected Writings on the Modern Object and its Destiny, Jean Baudrillard. Another use for sticky tape is dress up. Midnight and Magnolias play was on here at the Theatre Royal and preview night was dress up... so inspired by 'Gone With the Wind' I thought Rhett Butler would be the appropriate choice. 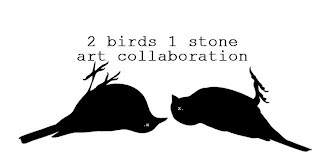 Our facebook page for the collaboration of 2 birds one stone. Im still playing with tape of various sizes, textures, and have been adding to my collection, I feel some great tape work afoot and will post more soon.